About halfway between Hato Raton and Quebrada Guabo is another town, Hato Chami, (known locally as just Chami). Chami is more developed than Raton: the road that leads there is paved, and it contains a small health center and a larger school. Nevertheless, the school is only large enough for half of the students it serves; it functions as an elementary school in the morning, and a middle school in the afternoon. This means that each student is only getting four hours of class each day. Students wait for school to start in Chami. I stayed in Chami for three days with another Few for Change volunteer, Agripina. Agripina works full-time at the school as a cook and does other cleaning work there; she is much more reserved than Ramon and Doris. She only reached third grade herself, and started attending night school in Quebrada Guabo once a week last year. Her motivation to volunteer seems to be almost the opposite of Ramon’s- having not yet achieved the level of education she wants herself, she hopes to offer her kids and others an opportunity that she did not have. 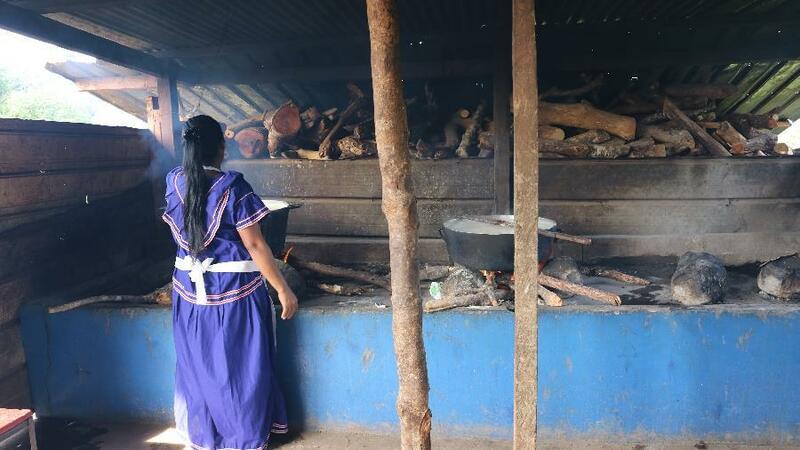 Agripina prepares a meal at the local school. Because Agripina was at work during the day, I spent most of my time in Chami hanging out at the school or walking around town with her 9-year old son, Kenneth. Kenneth is the second of Agripina’s three children; I did not get to meet her oldest, Kevin, who was boarding at a high school outside of the comarca and has since graduated as a Few for Change scholarship recipient. None of the scholarship recipients from Chami and nearby villages, who heard about Few for Change through Agripina, attend the school in Chami- they all board or travel elsewhere. 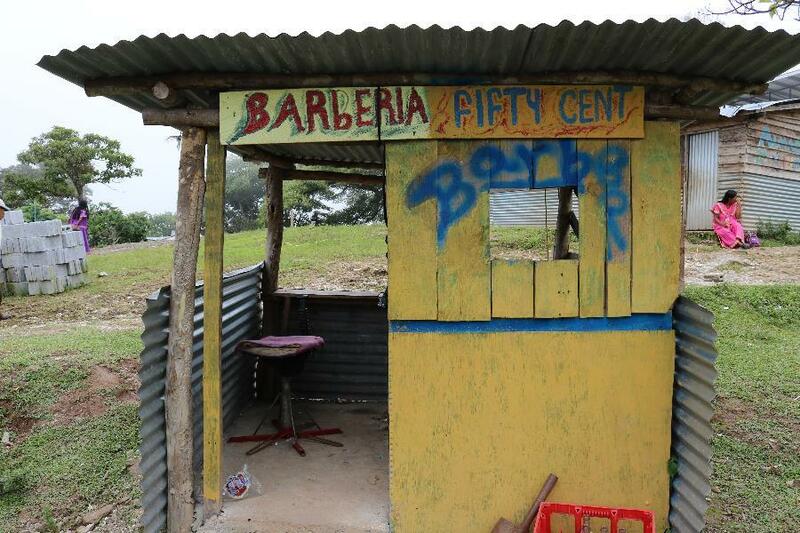 This seems to be a trend for most of Few for Change’s scholarship recipients- once they can afford it, they use the money to go to school outside the comarca- usually in Remedios or Las Lajas, which are both relatively close to the boundary of the comarca. Why were so many of the students using resources, when they had them, to attend school elsewhere? In Chami I interviewed the school principal, a math teacher, and a school administrator who also happens to be the father of one of Few for Change’s scholarship recipients. They were all firm in their belief that education is the only way out of poverty, and that they were doing all they could for each student to reach their full potential. And, from overhearing lessons around the school and having spoken with teachers in Raton and Quebrada Guabo, it was clear that many of the school staff care very deeply about their students and work tirelessly for them. But every time I asked about the challenges and barriers to education, the answers were not that students were lazy or did not care to learn; the answer was, repeatedly, that students and their families lacked the proper resources to reach their desired level of schooling. Students live too far away; many walk for hours each way to get to school. Many do not have enough to eat. Others cannot afford books or uniforms. And the schools themselves lack resources. Kenneth’s tests and assignments were not handed out on separate sheets of paper, but were copied, by hand, into his notebooks. Agripina and her daughter use the last natural light of the day to finish their homework. 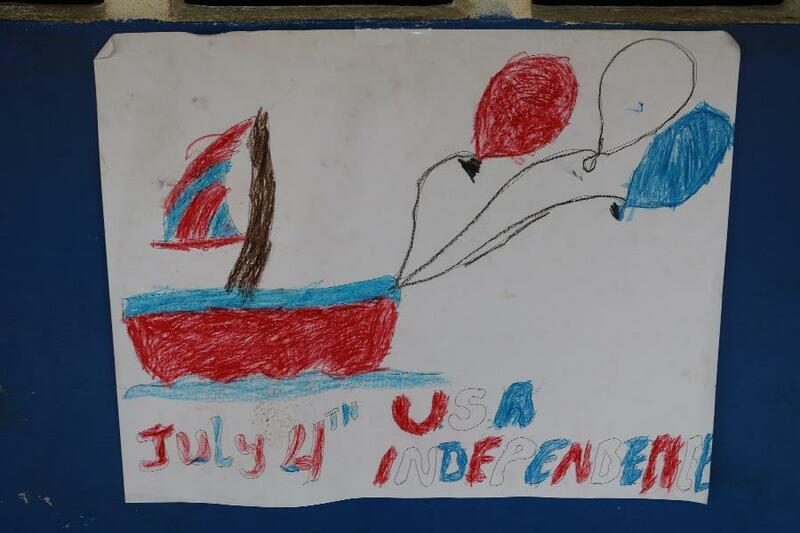 It's "English Week" in Chami! This healthcare center was long awaited in Chami. I arrived shortly after July 4th. There are dangerous mudslides every year along the road to and from Chami. Kids too young to go to school came out to see the gringa. Agripina's one inner wall is dedicated to the alphabet. On my last day in Chami, Agripina and I chatted as we waited for the chiva that would take me back to Quebrada Guabo. I remarked about how many questions I had received from everyone who saw me reading a copy of a Harry Potter book in Spanish that I had brought from home. Kenneth, in particular, had been fascinated by the concept of a book that was read just for fun. “Don’t you have books at the school for the kids to read?” I asked. “No,” Agripina replied. The school had some books, but these were for research only, to help the students with their schoolwork, and they were not allowed to take them home. This conversation stood out to me the most from everything I learned during my time in the comarca. It was clear that the financial support from Few for Change was providing opportunities that they would not otherwise have the means to afford, and that each family used its scholarship money slightly differently, depending on their location and situation. I had assumed, naively, that books would be something parents might buy with the scholarship money, perhaps to foster a love of reading. After leaving the comarca a week later, I spent some time looking for a bookstore in the city of David, a few hours’ travel further down the Pan-American highway. I went to the bustling city center and asked people on the street, where could I find a bookstore with books for kids? Did I mean textbooks? No, I was looking for fantasy books, books that were for fun. This line always got me a confused stare and a headshake- ultimately I was directed to a bookstore that only carried religious material. Once in Panama city, I was able to find a bookstore with children’s and young adult books in Spanish- a small bookstore in Ciudad del Saber, the “City of Knowledge,” a college campus outside of the city with a little shopping center on campus. I was looking for a book to send back to Agripina for her children- I would have given them my copy of Harry Potter, but it was falling apart; I wanted something that would last. I eventually found a beautifully bound copy of “The Alchemist,” wrote a little note inside, and sent it back to Chami through Aly, the SIT Panama director and Few for Change’s Panama City coordinator. When Few for Change members visited Agripina for the first time 6 months later, they saw the book in her home and asked about it. Kevin, home on break from school, said it was the first non-textbook that he had ever read. Older PostCelebrate National Book Month with Books for Change!